Mark your calendar!! 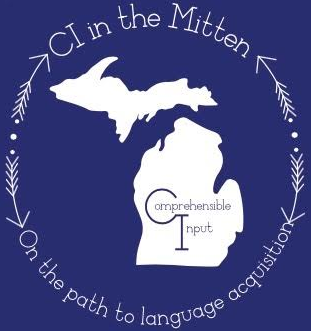 MittenCI will be back on Fri., April 26th (pre-conference), and Saturday, April 27th 2019! Registration opens 11-1! Please note, the pre-conference has limited spots available (first come first served). You must register separately for the pre conference AFTER registering for the main conference. What does my registration include? Registration includes all sessions, open coaching, and an opportunity to view a language lab with elementary school students. There will be a light breakfast, lunch and snacks provided by Chef Musto and the award winning Saline High School Culinary Arts students. You can register by clicking on the button above, or continue readying below for more details. Student teachers may register for a rate of $45.00. Student teachers should bring their school ID the day of the conference. University Professors may register for the student teacher rate when attending with students. To register, simply register as a student teacher, and bring university ID. Will the conference be one day or two? We offer a pre-conference and conference at MittenCI, with Friday serving as a pre-conference with limited sessions offered. To learn about pre-conference options and to register for the pre-conference please click here. What If I need to cancel? You may cancel by e-mailing us at mittenci@gmail.com. No refunds will be given after January 10th 2019. As supplies are purchased at this time, and we cannot get refunds for our purchases. What if I want MORE training? Teaching with CI is a skill that can take many years to build. If one day of CI isn't enough consider attending one of our 3 amazing (included in the price of registration) pre-conference options with Carol Gaab, Kristy Placido, Teri Wiechart, Tina Hargaden, Bryce Hedstrom, Justin Slocum Bailey, and Diane Neubauer!